Since 1992 Key Parts, Inc. has been the leading developer and distributor of die stamped rust repair panels in North America. Key Parts is the standard for quality and offers over 4,000 items to help with your repair or restoration. Key Parts makes it possible for you to make an effective repair of the rust on your vehicle without the expense of an entire replacement part from the dealer. Upper wheel arches save the expense of an entire quarter panel, our rockers will save the expense of a doorframe, our cab corners save you from buying a back cab and so on. We offer panels for the most common areas prone to rust on over 250 makes and models. 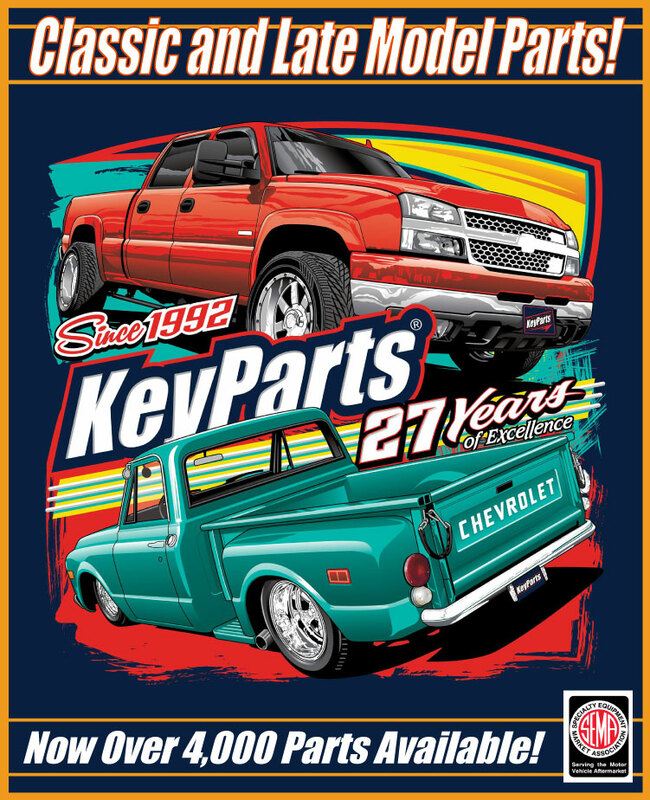 Key Parts also carries and extensive line of restoration parts for 1947-1972 Chevrolet and GMC trucks, including a number of GM Licensed Restoration parts. We carry complete replacement parts like fenders, doors, bed components, etc. as well as a number of rust repair panels. Key Parts does not sell to the general public but we do have an international distribution network. If you are having difficulty finding a Key Parts product feel please call us at (800) 992-1064 so we can direct you to a distributor near you. Quality repairs require quality parts and Key Parts should be your first choice for your rust repair needs.